In the Visegrád Group, there is a desire to both strengthen the powers of member states, but also defend the Schengen area, and the four freedoms. Unsurprisingly, talk of treaty change is in the air. EURACTIV’s Central European partners report. In Valletta, the Visegrád Four, composed of Poland, Slovakia, the Czech Republic and Hungary agreed to come up with a common contribution to the Rome Declaration. The document being drafted on behalf of the Rome summit at the end of March, marking the 60th anniversary of the Treaties of Rome, intends to outline the future of the EU. Ideas are already circulating, with Angela Merkel and the Italian hosts raising the issue of differentiated integration as one way to move forward in the EU. Various speeds are already a reality for the Union with the eurozone, Schengen etc. Nevertheless, for the longest time, there was a belief in the Visegrád countries that it is better not to be too flexible, as the countries feared being left on the sidelines of developments with possibly far-reaching consequences. It is obvious to all involved that the EU will be much more influenced by the results of elections this year – at least in the Netherlands, France, Germany and possibly Italy – than by what will be written down in Rome. Nevertheless, Rome and the weeks before the meeting itself will be a time for discussions on EU reform, and the Visegrád Group plans to be a voice to be heard. There is a widespread consensus in Poland that reforms of the European Union are necessary and unavoidable. There are few, if any, who contest this view. The problematic part is describing what changes are needed, both for the improvement of the EU and for improving the Polish position within the Union. The main question is whether Warsaw pushes for opening negotiations for a new treaty for the EU. Such an initiative would allow the deepest changes in the structure of the EU as a whole, as it could include, in theory at least, changes to every single aspect of functioning of the EU. Jarosław Kaczyński, chairman of the ruling Law and Justice (PiS) party, has been supportive of opening negotiations for a new treaty for the EU. Last year he has revealed that he has already reached out to a lawyer to prepare such a proposal. As Kaczyński has an iron grip over the government, Prime Minister Beata Szydło also voiced her support for the reform of the EU last year and promised to work on it. The ministry of foreign affairs is also pushing for it. Eugeniusz Smolar, a board member at the Centre for International Relations, noted, “there is no chance for a treaty change, as no government will risk a failure of such proposal”. Smolar thinks it is strange that “Kaczyński pushes for treaty change, as there have to be people in his circle who know well that it would be impossible to see through.” He agrees though that “the EU needs reform and adaptation, and this need has been its feature since the beginning”. Depending on which country you ask, in Central Europe, the new US government is either a source of unease in matters concerning Moscow or, in the case of Hungary, newfound confidence. Euractiv’s Central European partners report. No concrete reform proposals have materialised so far. Given the government’s political disposition, though, it seems reasonable to expect the strengthening powers of the member states and the intergovernmental aspects of the EU in order to limit the amount of power transferred to Brussels. Szydło has mentioned that the goal of the reform would be ensuring that “the EU strengthens the member states, which we do not see at the moment”, as well as “protecting [Polish] sovereignty”. Nevertheless, “strengthening the sovereignty of member states will be harmful for the Polish position in Europe”, stressed Katarzyna Pełczyńska-Nałęcz, director of the Open Europe Programme at the Stefan Batory Foundation. She explained that Poland is among the EU countries with weaker economies so that decreasing the role of supranational institutions will necessarily weaken the Polish bargaining strength. While it is still early to discuss the exact shape of reforms, Smolar believes it likely that the current rise of Eurosceptic forces will lead to a deepened integration based on a voluntary model, concentrated around a core of the EU. “And it would be welcomed by PiS,” he added, as the ruling party is not keen on deepening the political integration with the rest of EU. Rafał Dymek, director of the Polish Robert Schuman Foundation, also sees the need for reform as an inherent part of the EU setup. And while he believes the need to be there, Dymek also warns of starting on reforms without a concrete plan. “Before we make any changes, we need to define our goals: what should be the EU’s responsibilities? For what challenges in twenty years perspective it should be prepared? What societal aspects should be covered by the EU?” he asks, warning that without answering these questions and pairing them with an adequate financial and institutional framework, the result will be chaos. Pełczyńska-Nałęcz does not see any chance for quick reforms. “For a system of such complexity as the EU, any reform plan would need a support of a strong and numerous group of stakeholders. Currently, I do not see any such group around Poland,” she said. Viktor Orbán has been on track with a fight for freedom against Brussels since he was elected in 2010. According to Orbán, the European Commission is responsible for the complex crisis (both economic and political) of the EU. “Every time the presidents cannot reach a consensus on a question – which happened in case of the Migrant Quota – it is obvious that the Commission tends to implements mandatory political requirements,” said the premier in an article recently published in the right-wing American periodical, the National Review. The truth is that the Commission operates under strict rules imposed by the Council and the European Council within a “new intergovernmentalism”, counters Róbert Csehi economist, political scientist, and researcher at the Central European University. Csehi claims that if Viktor Orbán is dissatisfied with the EU’s decision-making policy, he might try to build a coalition within the European Council and make a proposal for changing the EU treaty. 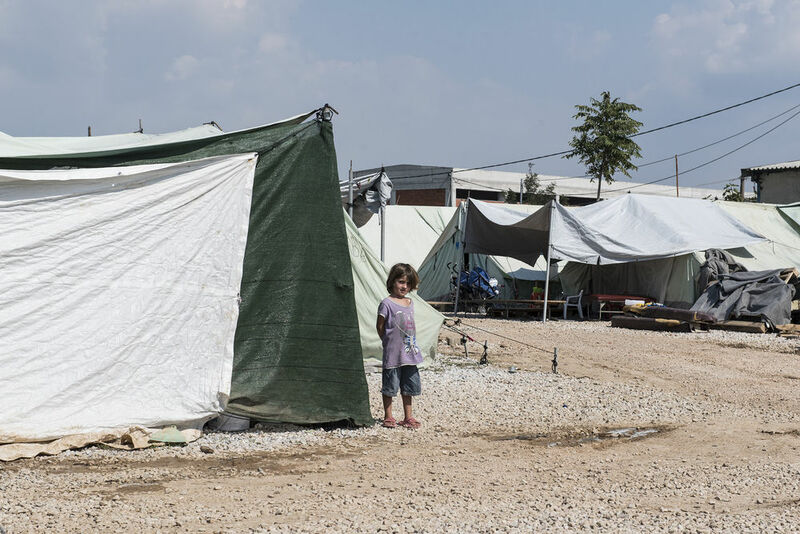 With Slovakia handing over the EU presidency to Malta and agreement on a new EU asylum system out of sight, the Visegrád Group remains in opposed to compulsory refugee relocation. EURACTIV Czech Republic, Slovakia, and Poland, and Budapest’s Political Capital, report. Yet, the Hungarian government has been giving mixed signals on the issue of opening the treaties. At the beginning of last year, Orbán urged the importance of it, but he changed his tone after the Brexit referendum. “It is a signal from the Hungarian diplomacy, which means we are available if the bigger member states are willing to open up,” said Botond Feledy, a researcher for CEID (Central for Euro-Atlantic Integration and Democracy). “Without changing the Treaty, the EU can hardly step forward, although it is a risky project – especially in the countries where referendum is needed – to procrastinate,” he adds. Budapest is most likely in a wait-and-see position now. “Instead of modifying the power of institutions, Hungary is focusing on improving the functioning of the EU. It is not time to talk about the legal format yet, in which, by the way we are open and flexible,” Szabolcs Takács, State Secretary of EU Affairs, told Political Capital. It would be a challenging test for Hungary to position itself in an institutionally two-speed EU, where the core would be based on the membership of the eurozone, because Hungary has no intention of adopting the common currency yet. Szabolcs Takács also says that Hungary may support deeper economic cooperation for the sake of the eurozone, but only if the unity of the single market and a level playing field are provided and those who stay out will be able to decide freely on joining later. The Hungarian premier has declared 2017 the year of rebellion, especially against the Commission and the European elite. In spite of his political rhetoric, Hungarian society has a high opinion of EU institutions. Based on a 2016 Pew poll, 61% of Hungarians think that the European Union is a good thing, whereas in France, it is just 38%. Medián’s last year survey shows that 77% of Hungarians find it positive that Hungary is in the EU. Orbán’s two-faced rhetoric follows this trend, and while he is constantly attacking Brussels Orbán is also emphasising the economic benefits of the EU membership. “Orbán’s cultural counter-revolution – supported by Jaroslaw Kaczyński – is about subverting the EU. He is anticipating that mainstream liberal elites are about to fail in the French, German and Dutch elections. Therefore, he and other populists could take over the power in Europe,” said István Hegedűs, president of the Hungarian European Society. On the political level, there is not much appetite for a big overhaul of the EU in Slovakia. Nevertheless, there is a basic mainstream consensus that EU needs consolidation. What that should look like is a more difficult question with few answers. The experience of the presidency of the Council of the EU has left Slovakia slightly more open-minded and willing to reflect on the European future, at least more than in the past. 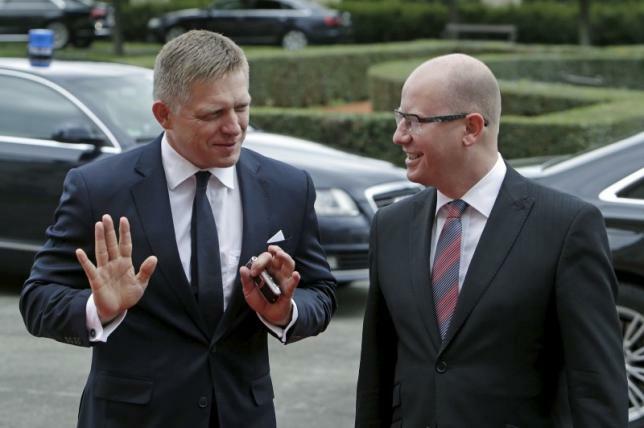 As the V4 readies its own contribution for the Rome declaration, Slovak Prime Minister Robert Fico hinted in Valletta that the common narrative focuses on the “role of the individual member states”. Prague will host an extraordinary summit of the Visegrad group, three days ahead of the February EU summit, to discuss the migration crisis and a possible “plan B” in case of a widening divide with the older Schengen members. State Secretary of the Ministry of Foreign Affairs Ivan Korčok says that the V4 will emphasise safeguarding “three most important aspects – eurozone, Schengen and internal market”. Slovakia is aware of the voices coming from the founding member states calling for a profound reform driven by the devotion to a deep integration and “ever closer union”. But Korčok adds that does not mean Slovakia has “taboos” or a “defensive reflex” in any kind of debate about the future of the EU, be it an opening of the treaties or differentiated integration. “But we must clearly state, what kind of differentiation and in which field will move us forward. It must not become the basic principle of future functioning of the EU because that might lead towards further fragmentation.” The reluctance to undertake treaty change is not ideological. Rather, the argument goes that no one has identified what should actually be amended. At the same time, Bratislava believes that member states should be the driver of the discussion on what kind of reform the EU needs. Slovakia’s state secretary admits that the expected Commission white book on the future of the EU will be a “legitimate contribution to the discussion”, but does not see finding the answers to be an “institutional task”. There are voices which advocate the need to go further with integration among Slovak public officials. “We are at a point, maybe even beyond it, where we either take a qualitative leap forward, and that would be my preference, or we start to fall apart. Either way, the status quo is unsustainable,” says Ivan Lesay, former state secretary at the ministry of finance responsible for the European agenda, currently its highest ranking official. To Lesay, the situation in the eurozone being a “half-finished product” and facing mainly political risks is one example. Social, tax, security and foreign policies are other candidates for further integration, which however cannot be a goal per se. The most likely scenario? The EU will survive, but its importance will decline slowly over time, Lesay says. Would the Slovaks support any major shifts? Yes and no, probably depending on how the question is asked. Support for the EU is still relatively high in Slovakia. But a recent research that looked deeper into the opinions of citizens gives advises caution. “What has surprised us was that many participants that have spontaneously replied they feel positive about the EU, later, when discussing more specifically, have become very critical and voiced disappointment,” explains political scientist Aneta Világi, of Comenius University. The Czech Republic has always been opposed to either opening the treaties or a deepening of differentiated integration. There is a prevailing opinion that the legal framework and instruments at hand offer enough room to tackle the current challenges. Regardless of possible variable speeds, the EU should address the biggest expectations of its citizens. These discussions tend to be currently overshadowed by those focusing on the security aspects of future European cooperation. Czech Prime Minister Bohuslav Sobotka (Social Democrats) plans to discuss Brexit and the European project’s future with all parties elected to the Czech Parliament next week. 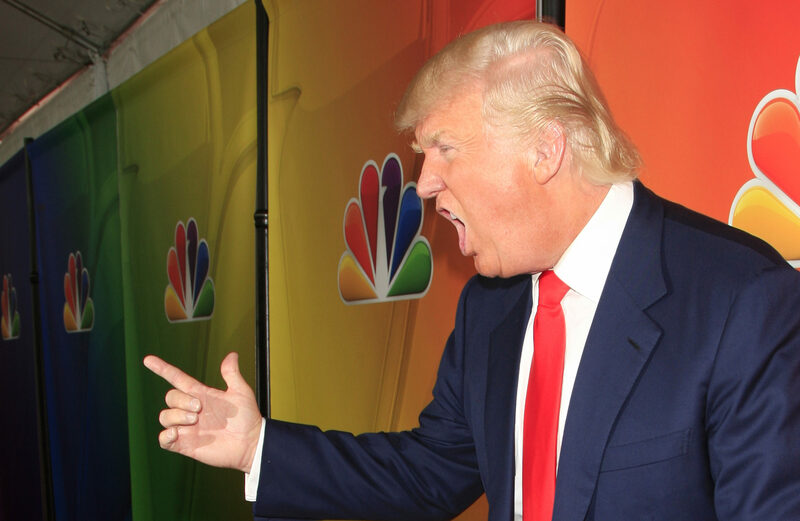 Sobotka says he wants to have a “nation-wide” discussion across the political spectrum. According to Pavel Fára, of the Confederation of Industry of the Czech Republic, one of the problems of Czech EU debates is that European topics are used by populists for raising a “storm in a teacup” and sidelining the important issues. 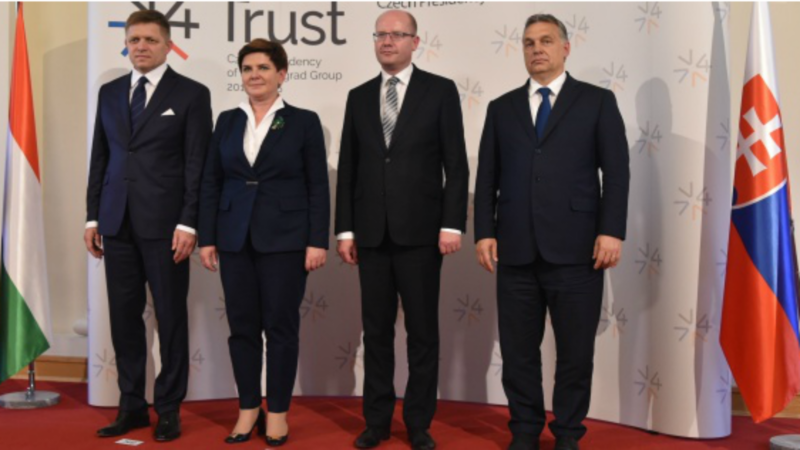 The Visegrad Four countries – the Czech Republic, Hungary, Poland and Slovakia – made no secret that they oppose the new asylum policy as recently proposed by the European Commission. The EURACTIV network reports. “On the other hand, the European representatives should realise that sometimes they promote useless proposals which divide the EU rather than solve current issues,” he added. “We do not need ‘more Europe‘, but ‘less Europe‘. We need less bureaucracy and regulations, more ties between the EU and the US and more free trade,” Czech MEP Jan Zahradil, of the Eurosceptic opposition party ODS (ECR), told EURACTIV.cz. Only one-third of Czechs (36%) believe that the European project has a future, according to an opinion poll conducted in April 2016 by the Public Opinion Research Centre (CVVM). More than half (53%) of the 1063 respondents said they did not have confidence in the European integration. These numbers are very similar to what the previous poll on this topic showed in 2012. According to a Eurobarometer poll conducted last fall, the biggest challenges that the EU faces are immigration (63 %), terrorism (47 %) and the state of public finances (15%), Czechs think. “Citizens feel secure only if they are confident that they live in an area where full control of external borders is ensured and where the relevant authorities have sufficient instruments to protect people from danger,” Czech State Secretary for European Affairs Tomáš Prouza told EURACTIV.cz. He also said the EU must act more as an active global player responding actively to external crises and threats of all nature. Regarding economic and social issues, which are also high on the concerns of Czech citizens, according to the polls, the government is focused on preserving the four freedoms of the EU single market. “The four freedoms have developed equally. We must avoid both European and national measures which would limit these freedoms,” Prime Minister Sobotka said in an interview with Euroskop.cz, adding that the most pressing issue is the freedom of movement. This issue is connected with the negotiations on Brexit. The UK’s decision to leave the EU is one of the biggest challenges that the EU has to deal with, Czech MEP Luděk Niedermayer of the pro-EU opposition party TOP 09 (EPP) told EURACTIV.